Global Custodian's 2018 Industry Person of the Year shortlist is revealed, recognising four individuals that have gone above and beyond in the year. Global Custodian has announced its second Industry Person of the Year award shortlist, naming four individuals from the securities services industry who have gone above and beyond in 2017. The shortlist for the award is our biggest one yet, with candidates from three global custodians and one international central securities depository. After seeing over 7,000 votes cast in a single day, it was Northern Trust’s Justin Chapman that took home the coveted prize last year. The honour will once again be the headline award handed out at Global Custodian’s annual Leaders In Custody event, being held on 15 March at The Savoy in London. The winner will be decided by a live vote on the day of the Leaders In Custody event. You will be able to vote from 09.00am on the day. Michelle Neal is a proven industry-leading change agent. 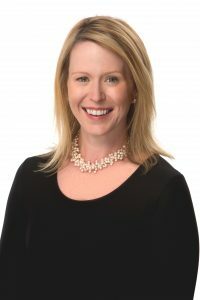 During a more than 20-year career in global finance and market structure issues, she has held senior leadership roles at some of the world’s most respected financial institutions, introduced numerous new platforms and been at the forefront of the electronic trading revolution that has changed the face of capital markets. Since joining BNY Mellon as CEO of its Markets division in 2015, she has embarked on a transformational journey that is redefining the client experience and value proposition of custody banking. As a result of her vision and application of new talent and automation, BNY Mellon Markets is rapidly evolving into a more modern, technology-driven and integrated counterparty. In FX, for example, Michelle has focused on initiatives involving front-to-back business transformation, and she is currently closely involved with the upcoming launch of a new FX Prime Brokerage service. Similarly, in the securities finance business, she has fostered the creation of DBVX, BNY Mellon’s peer-to-peer cash and collateral marketplace. Michelle has built her extensive experience across a broad spectrum of capital markets and trading institutions, including senior leadership roles at Deutsche Bank, Nomura/Instinet and RBS. Having spent almost two decades in London, Michelle is now happily settled back in her native United States. She lives in Brooklyn with her husband and young son. They are expecting their second child later this year. 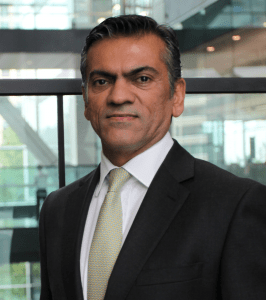 The growth of the custody and fund services (CFS) business has been a core focus for Citi globally, something which Pervaiz Panjwani has played a big part for. During 2017 the business saw double-digit growth, and for the EMEA region it made eight significant hires to further accelerate the unit. Panjwani has been one of Citi’s most tenured securities services veterans, having worked for over 27 years and in five countries for the bank. 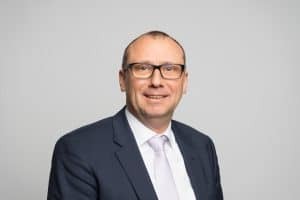 He was a country manager for Luxembourg and head of investor services for the country, and has been able to combine a European perspective to the UK market in his current role. In 2017 he oversaw a number of key appointments across the European business for roles in product development, sales, ETFs and data. The crowning achievement for Panjwani - and for the bank - was the launch of Citi Velocity Clarity, a big data online platform that consolidates all of the businesses’ data with client data and third-party client data via its private cloud. Furthermore he has helped spearhead the development of a new fund administration business in Europe for ETFs, and developed a new online thought leadership platform. Panjwani highlighted one of his main targets for 2018 is to attain a 100% retention rate on custody and fund mandates, as well as leveraging Citi’s direct custody and clearing business with the CFS unit. At a time where collateral requirements have spiked for asset managers, pension funds and insurance companies, Euroclear’s Olivier Grimonpont has been responsible for helping the industry come to terms with these challenges. He is responsible for the strategy and development of Euroclear’s collateral management solutions for financial markets, worldwide. In 2017 he was appointed chief executive officer at GlobalCollateral, a joint-venture between DTCC and Euroclear, and was instrumental in the launch of the inventory management service (IMS), allowing firms to use US Treasuries held at the DTCC as collateral with Euroclear. With over 25 years worth of experience in the international financial markets, he was previously CEO of Euroclear’s Hong Kong branch and regional head for Asia, overseeing Euroclear’s offices in Beijing, Hong Kong, Singapore and Tokyo, with responsibility for all of Euroclear’s business activities and clients in the Asia-Pacific region. Prior to that, he headed up Euroclear's collateral services, fixed-income, loan servicing and securities lending and borrowing product management teams in Brussels. His financial career started in 1990 with JP Morgan Brussels, where he worked, first as a liquidity manager, and later as a government bond trader. He has also held positions for JP Morgan in London and Moscow. Olivier holds degrees in Corporate Management and in Physics from the Université Catholique de Louvain in Belgium. Rajen Shah has been one of the leading voices within the capital markets industry when it comes to improving organisational change, creating new and sustainable revenue streams, and driving cultural change. Shah has strategically prioritised State Street’s revenue streams by investing in value added services that further improve the overall client experience. Such endeavours have resulted in some impressive year-on-year growth in assets of: 83% in enhanced custody, 23% in eFX, 21% in emerging markets trading, and 78% in Fund Connect. Outside of day-to-day business activities, Shah sees engaged employees as an imperative to the success of the business, as part of this he has led an assessment of State Street to consistently improve the firm’s general culture. He also takes the development and nurturing of talented individuals seriously, and is a mentor for State Street’s internal management fast track program for future organisational leaders. 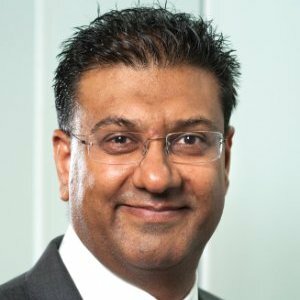 Outside of this, he is the executive sponsor for State Street’s NextGen network, focusing on developing the careers of ambitious millennials; and is also an external mentor for members of the 30% Club, an industry organisation focused on encouraging better leadership and governance through promoting gender diversity within management positions in the City. In his personal time, he enjoys organising annual events to raise funds for charities close to his heart.